Sunday is the only morning of the week that our family doesn’t have to get up early. If I am going to fix breakfast that is usually they day I do it. One of my family’s favorite things that I make is banana chocolate chip pancakes. I made these up one day when I was feeling festive. 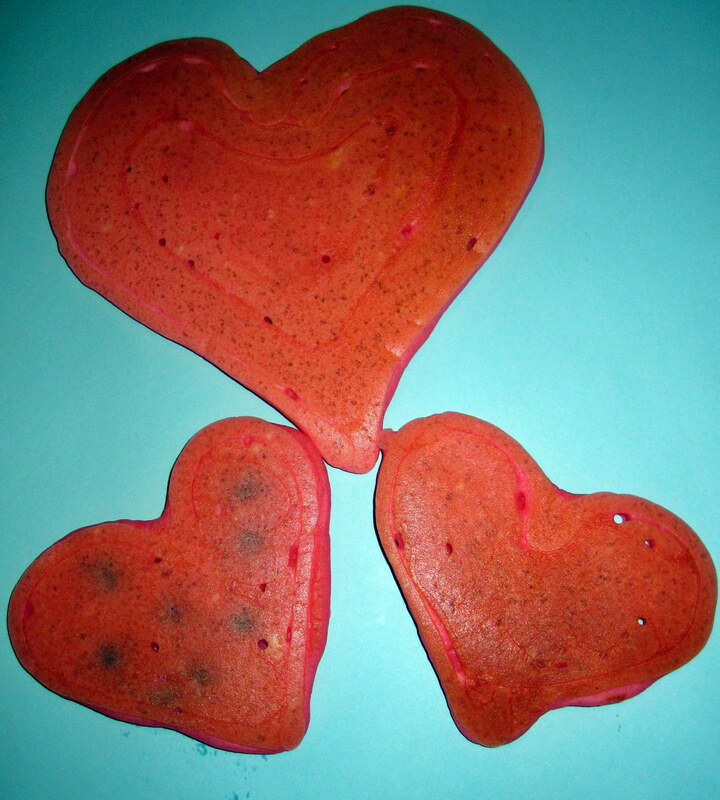 I whipped up some pancake batter and as Valentine’s Day is approaching I was feeling festive. I added some red food coloring to the batter and voila! Perfect pink pancake hearts! The recipe for the banana chocolate pancakes is below. Happy eating! Mix Bisquick, milk, and egg. Pour pancake batter onto griddle. Put slices of banana on, then sprinkle some semisweet chocolate chips on top. Pat them down with the flat side of a fork. Flip when ready and continue cooking pancakes as you normally would. Squeeze out a heart shape and then fill in with batter. Top with bananas and chocolate chips. Pat down with fork and cook until done. Flip when ready and continue cooking as normal.